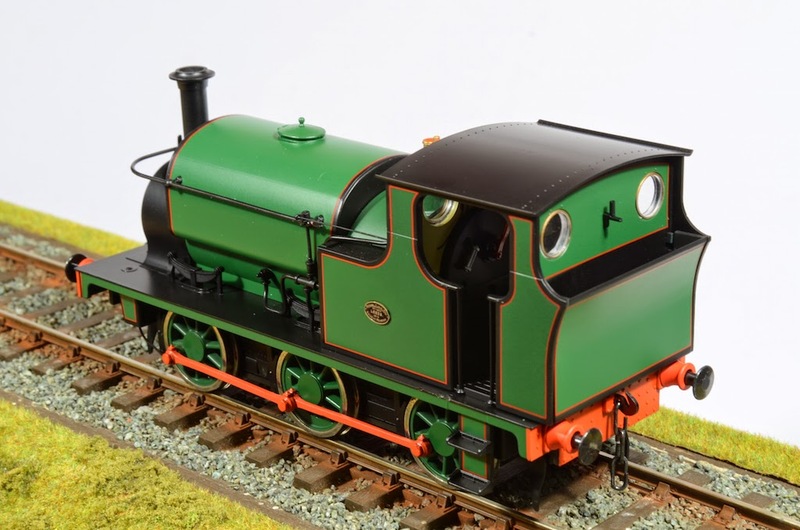 Ixion Models: New Hudswell Clarkes Arrive! 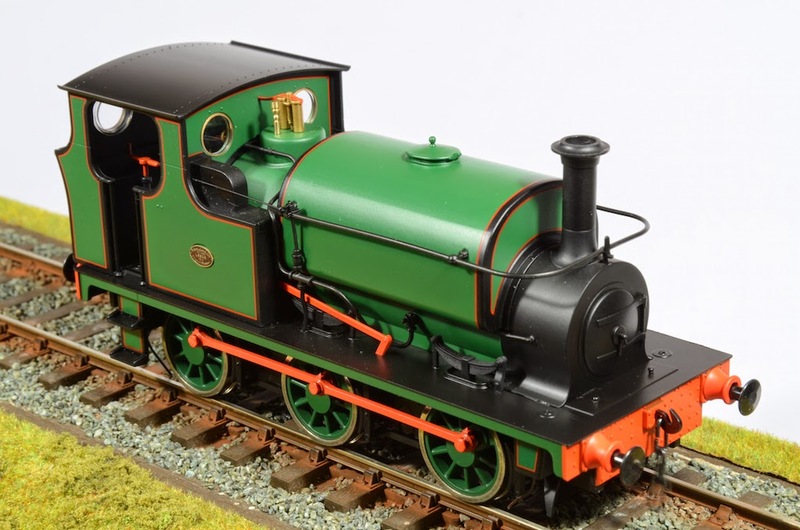 The new run of 7mm scale Hudswell Clarkes in Forest Green livery have arrived in the UK, and are on their way to shops that have pre-ordered them. They look wonderful - the factory has excelled themselves with the fit and finish. 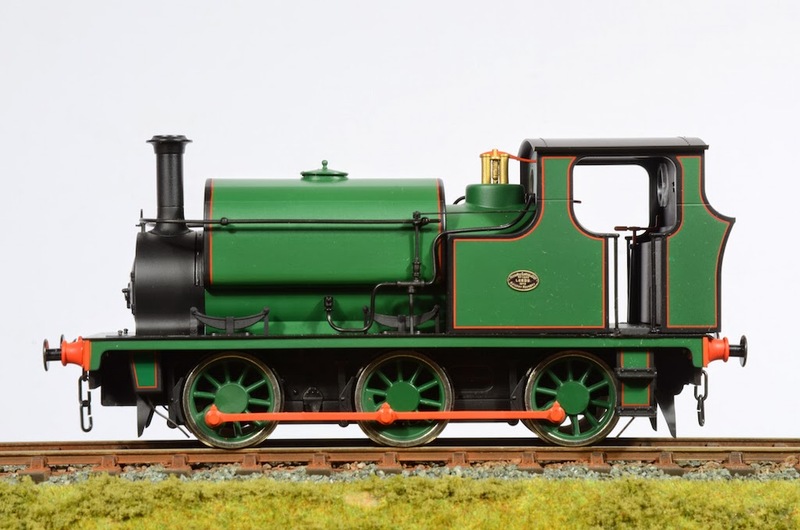 They also display the magnificent slow, smooth running of the originals. 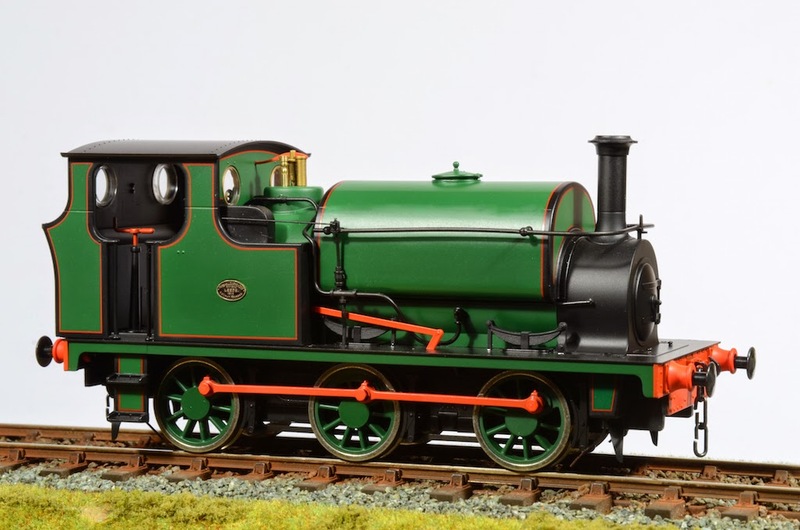 The loco also includes a brand-new fret of additional loco names, numbers and appropriate works plates for the cab side. Ixion's UK Director Chris Klein has taken this fantastic set of photos for you to enjoy. 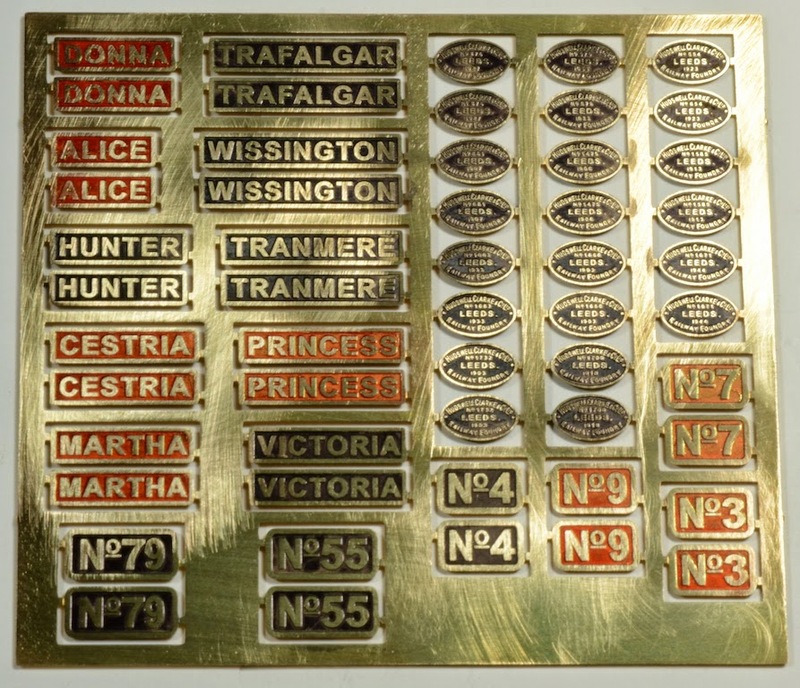 Please note - the coloured backgrounds to the fitted brass plates were applied by Chris to make them easier to see in the photo. 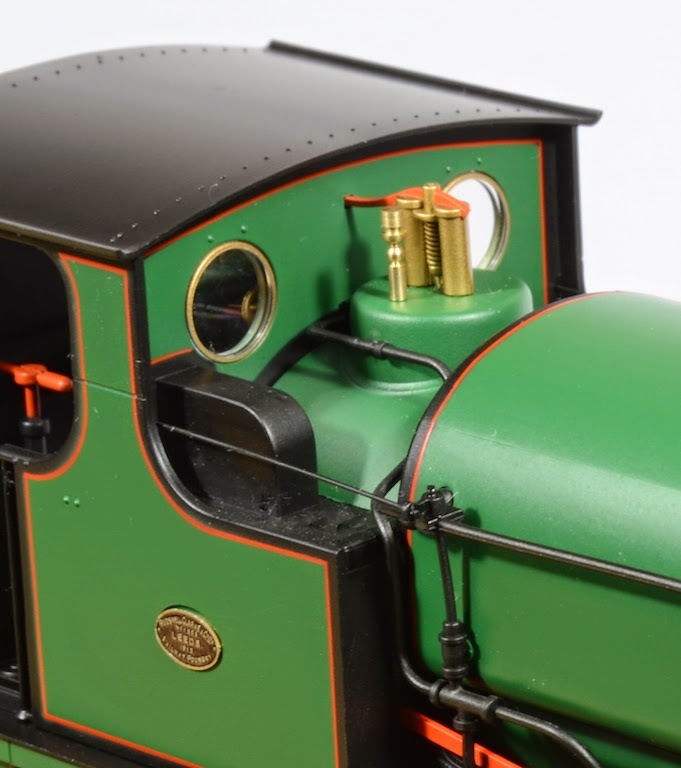 Ordinary modeller's enamel paint is applied to the plates on the fret and, when dry, the fret is turned over and rubbed on fine emery paper to remove the paint on the raised lettering. You can see the fine abrasions on the bare brass; it works brilliantly. 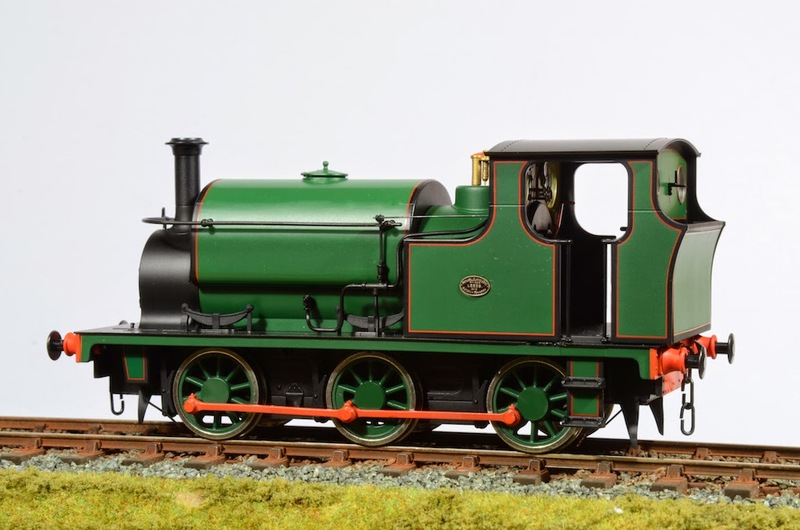 The 20 locos slated for Australia are on a ship and will be arriving soon. Make sure you tell your local stockist that you want one put aside for you! Could this be the perfect Christmas gift?..